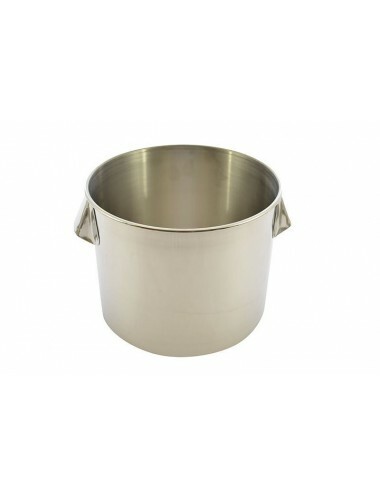 S/STEEL FOOD STORAGE CANISTER WITH S/STEEL HANDLES, IDEAL FOR STORING FOOD AND SAUCES, OR DISGORGING MEATS AND FISH. WHAT IS IT FOR? CLOSE TO THE BAIN-MARIE IN TERMS OF SHAPE, THE DIFFERENT POINT IS THE HANDLES.EQUIPPED WITH 2 STAINLESS STEEL SIDE HANDLES WELDED AT MULTIPLE POINTS, COMPACT. IT SERVES AS A PRIORITY TO STORE FOOD AND SAUCES ALREADY COOKED OR TO DISGORGE MEATS AND FISH. STAINLESS STEEL FOOD STORAGE CANISTER WITH STAINLESS STEEL HANDLES, IDEAL FOR STORING FOOD AND SAUCES, OR DISGORGING MEATS AND FISH. 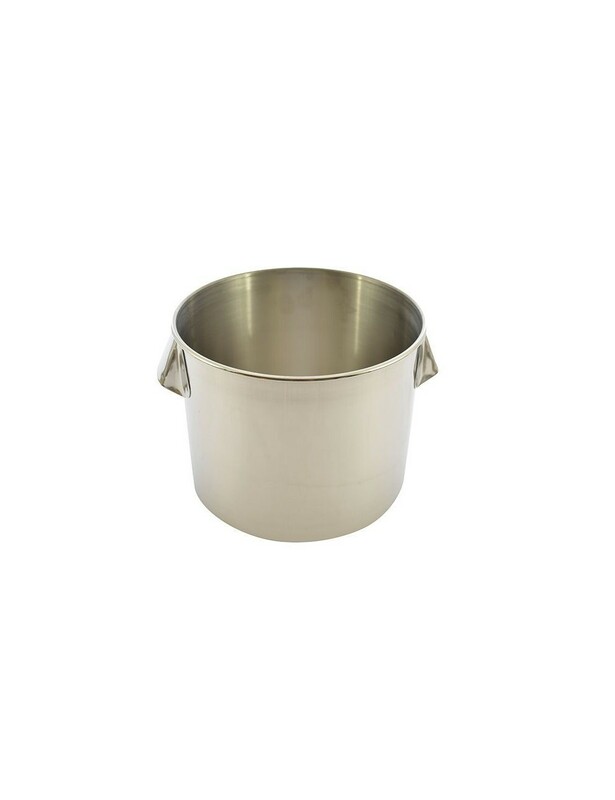 Stainless steel bain-marie, stainless steel handle, without lid. For smooth and homogeneous cooking. COPPER BAIN MARIE REMOVABLE PORCELAIN INSIDE, BRONZE HANDLE. Traditional copper BAIN-MARIE with porcelain insert for smooth and homogeneous cooking. Stainless steel Bain-marie, removable porcelain insert, stainless steel handle. The porcelain contributes to a smooth and homogeneous cooking. Suitable for all hobs including induction. Volume 0.8 liter.